In a number of industrial applications, it's quite common for various types of plastics and metals to be attached firmly to one another. In order to accomplish this, rivets are commonly used. One of the most common problems encountered is the back of the workpiece being inaccessible. This could be due to a number of reasons. For instance, the back of the workpiece could be hidden by other parts, or it could be out of reach. Regardless of what the case may be, when a worker is not able to reach the back of a workpiece, blind rivets are usually a good option, as they can be installed from one side of the workpiece without needing to access the back side of the material. 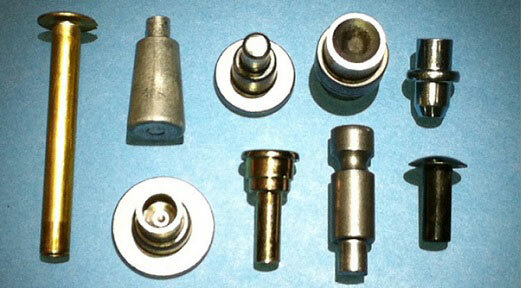 Blind rivets are comprised of a tubular body with a retention piece known as a mandrel. It is the retention piece that holds the rivet in place while the body of the rivet is pulled through, making it possible to snap off the remaining piece of the rivet. This makes it possible for the mandrel or retention head to be held in place, thus securely joining the two workpieces together. Many facilities choose to order blind rivets from a rivet manufacturer because they need a specific length or diameter rivet in order to meet their specific application requirements. It's also possible to order blind rivets with a water-resistant seal that will prevent water from leaking into the workpiece. When the workpiece is to be exposed to the weather or used in marine applications, this can be a good choice. When ordering a blind rivet from a rivet manufacturer, it's important to consider the types of materials available for the construction of the rivet. While stainless steel is a common option, other choices are available, including copper, aluminum alloy, nickel alloy, and aluminum-coated stainless steel. In situations in which a custom alloy is required, it is important to check with the rivet manufacturer regarding possible options.